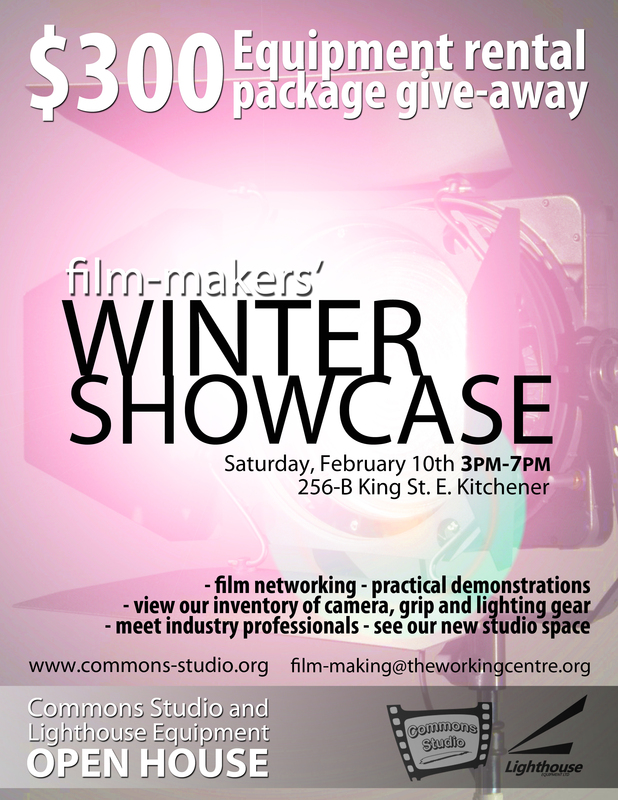 Join Lighthouse Equipment and Commons Studio for our Film-maker's Winter Showcase and Open House at the new studio this Saturday from 3-7pm. This is a free event, with the chance to win door prizes including a $300 equipment rental package, and studio memberships. Chris Morsby is a Director of Photography and a steady cam operator in Toronto. He has been in the film industry for over 22 years. His career has covered over 70 projects from music videos to TV shows and feature films. Tony Smith is one of the founders of Lighthouse Equipment and has been in the film and entertainment industry for over 15 years. He has worked as a lighting technician on a wide variety of projects including feature films with actors such as Chris Pratt and Denzel Washington, TV shows like American Gods and Shadow Hunters, feature films, music videos, and commercials. He has also produced feature films that have won awards and been sold for distribution. He will be showing the wide variety of equipment at the studio. Kendall McColl is a grip and lighting technician for the two local film unions, Nabet and Iatse. He has been working in the film industry for over 17 years, working on many projects including large productions such as Total Recall. Kendall will be doing a lighting demonstration for still photographers on how to use constant lighting and its benefits, and a demonstration on how to light on a budget for film.